Soaring through the sky, using not a single speck of conventional fuel, Solar Impulse achieved its fourth world record in July as it successful flew from coast to coast across America. With the weight of a car and the wingspan of a 747, Solar Impulse, as stated by Bertrand Piccard, “was not built to carry passengers but to convey messages.” In hangar 19 of JFK on the 13th of July one could feel the excitement in the air as the Consulate General of Switzerland in New York hosted a celebration of this momentous achievement. With children running around with toy airplanes, and sunshine facepaint, the future of aviation, or a possible future of aviation, could most assuredly be seen. A five year old eagerly asks the question of whether or not her family will be able to fly in an airplane like this soon. The response from the pilots, Bertrand Piccard and André Borschberg, spoke volumes of the team’s vision as they told the girl that if everybody continues to work hard and believe in the possibility, then hopefully by the time she is the age of her mom she will be able to take a ride in one. Walking away with a face painted with the image of the sun, she murmured to her mom about how exciting this was. In the speeches of both pilots, they talked about living life believing that the impossible can be made possible. 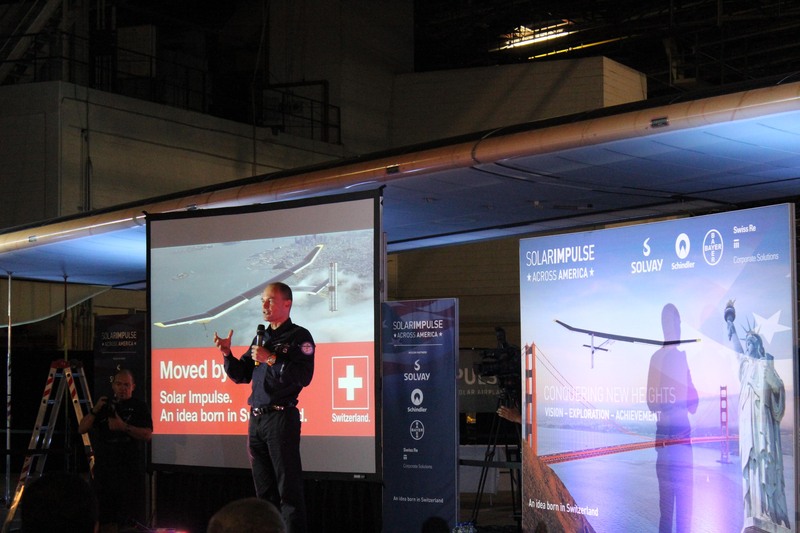 Given the background of the Solar Impulse project, they are speaking from experience. Before achieving their first record, there was around seven years of calculating, constructing, and testing via simulation and otherwise. Currently Solar Impulse holds records for the 1st day and night solar flight, Solar European flights to Brussels and to Paris-le Bourget International Airshow, Solar intercontinental flight from Switzerland to Morocco, and now their flight ‘Across America’. With some challenges in the landing at JFK, there are more than simply issues of public support to address. The engineering and technology behind this craft are extraordinary, and really speak for the innovation and ingenuity associated with the Swiss. From a carbon fiber honeycomb structure produced by a company renowned for boats, to the system of 11,628 monocrystalline silicon cells, horizontal stabilizer, and the lithium-polymer batteries – every component is selected for its efficiency, particularly regarding weight. There is also the current challenge that due to weight and the engineering of the craft, only one person – the pilot, can be on board at one time. This makes long trips more of a challenge. But as the pilots kept stressing, nothing is impossible. While Solar Impulse has already proven a point to many, its task is not yet finished. It will continue to make what many believe impossible, possible, as in 2015 the team will attempt to fly around the world, using nothing but the power of the sun. While the Solar Impulse project is intended as symbolic, it does expand the possibilities in the future of aviation. In today’s world, with climate and emissions concerns, there is indeed a push for more efficiency in fuel. 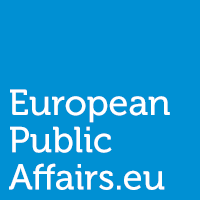 The European Union’s Emissions Trading System (ETS), is a clear demonstration of the evolving desire to incentivize the reduction of emissions in aircraft. [ETS Article] While this is opposed by the US, the ETS combined with pressure from environmentalists, will hopefully push investment in alternative technologies for fueling aviation. Solar Impulse is an example of such investment desires. With over 90 backers, there has been over 90 million Euros (or 115 million dollars) invested into this future of fueling aviation. This alone speaks volumes of the wishes for the future. It seems that in the future of aviation, it will be more than just Superman who jets off into the sunset using the power of the sun. Obviously, when I book my next flight across the Atlantic this year, I am not expecting to fly in a plane which uses solar power. But hopefully, if we all work towards a goal of greener transportation, my children will be able to travel via plane in a way that is less harmful to our environment. We cannot expect such innovations over night, but with projects such as Solar Impulse paving the way, breaking through the walls of what has been thought impossible – the future seems a little brighter for all of us and the generations to come. 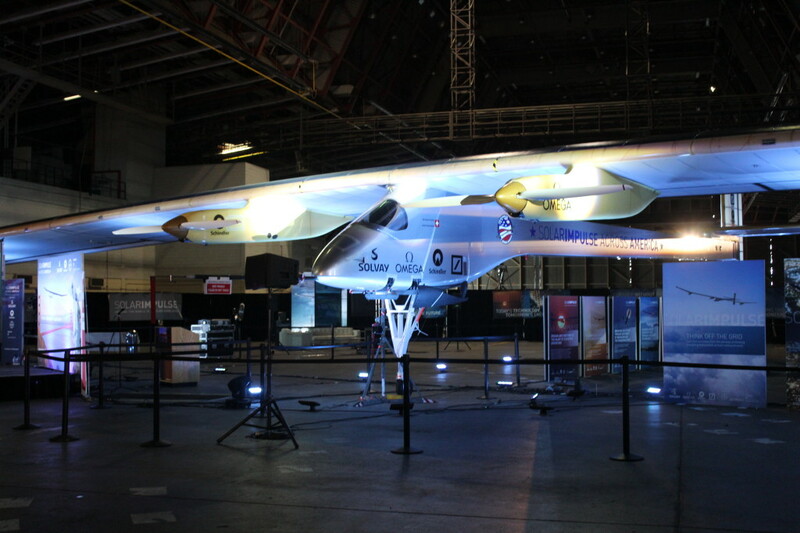 For more information on Solar Impulse, please check out their website here. This article also appears here, with the permission of the author. Germany’s PKW Maut bill- “Nicht so toll” on the long run? Thank you for this article Natasha, I so much wish I could be at JFK on that day. Yet there seems to be a long way to go before the commercial roll-out of such vehicle – I’m afraid that the cruising speed of 70 km/h and 1-person capacity leave a lot to be desired. I think we need more demonstration projects of this kind, especially from the main aircraft manufacturers. I definitely agree Patryk. It will take a lot of work before this technology is used in more ‘commercial’ aircraft, for which we will definitely need a lot of support and drive from the main aircraft manufacturers. In my opinion, Solar Impulse is a great step in the path to more sustainable aircraft. As the pilot mentioned – it will hopefully be a symbol to others that what we once thought was impossible may in fact be in the cards for the future of aviation. Symbolically, I think it has captured the attention of many, which hopefully will get more people ‘on board’ for continuing the pursuit of more sustainable forms of aviation.